SIS Digital Media Limited - news release: Our latest LED billboard installs have landed in Nottingham! Our latest LED billboard installs have landed in Nottingham! We are the company behind the design, building and installation of almost 70% of all roadside LED billboards in the UK. Our latest LED billboard installs have landed in Nottingham! Over the last two weeks we have been installing two D48 LED billboards for one of our group companies, 8 Outdoor. 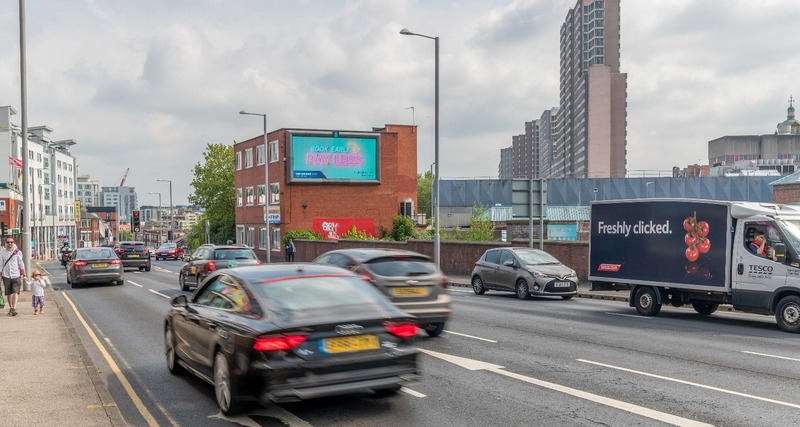 The LED billboards are located on the busy A60 route, both inbound and outbound of Nottingham City Centre. Our D48 LED billboards for 8 Outdoor measure 6m x 3m and consist of 106 of our marketdefining ecofriendly and superlightweight D10 LED panels. These two are the 64th and 65th D48 LED billboards we have designed, built and installed for 8 Outdoor.